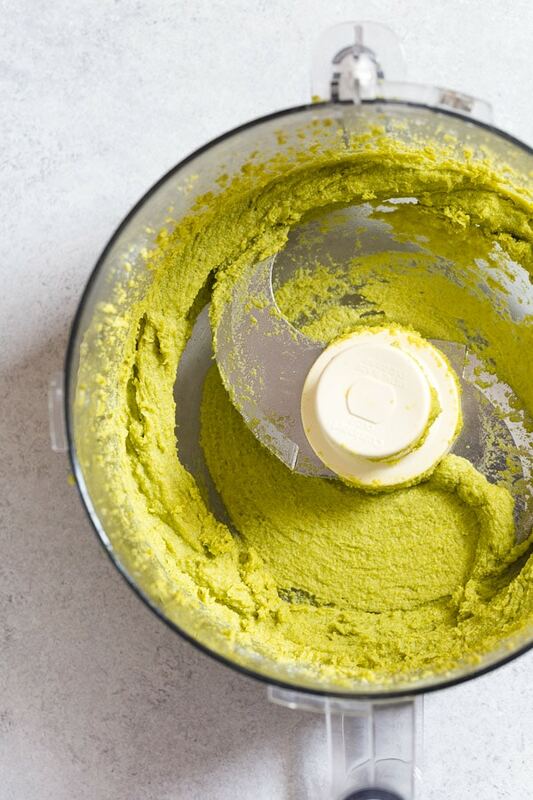 Super easy homemade pistachio paste. Sharing my proven tips to get a smooth texture and vibrant green color every time! 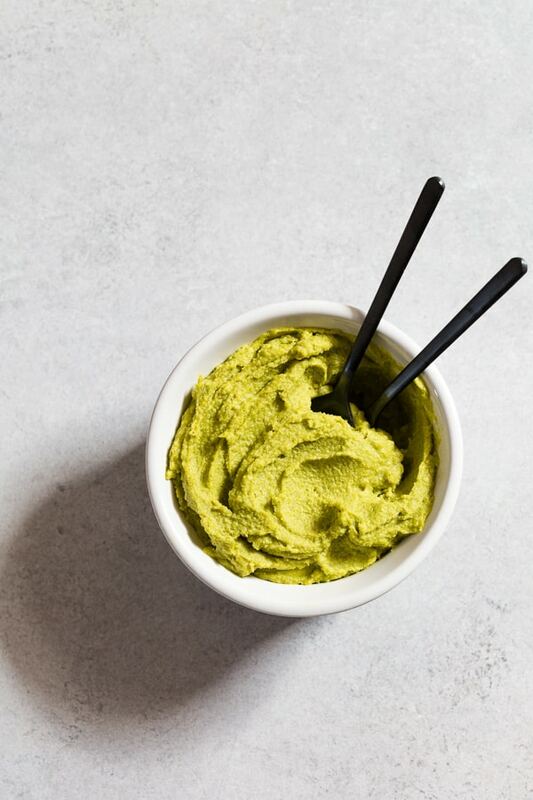 To make the most incredibly gorgeous pistachio paste, you only need ONE ingredient! Pistachios! Would you believe this beautiful nut butter has zero food coloring? True story! And the color wasn’t even painted in Photoshop. I promise! It’s naturally this vibrant green! And oh my goodness, so deliciously pistachio-y! WHAT KIND OF PISTACHIOS TO USE FOR PISTACHIO PASTE? Next, we need to get the skin off of those raw pistachios. 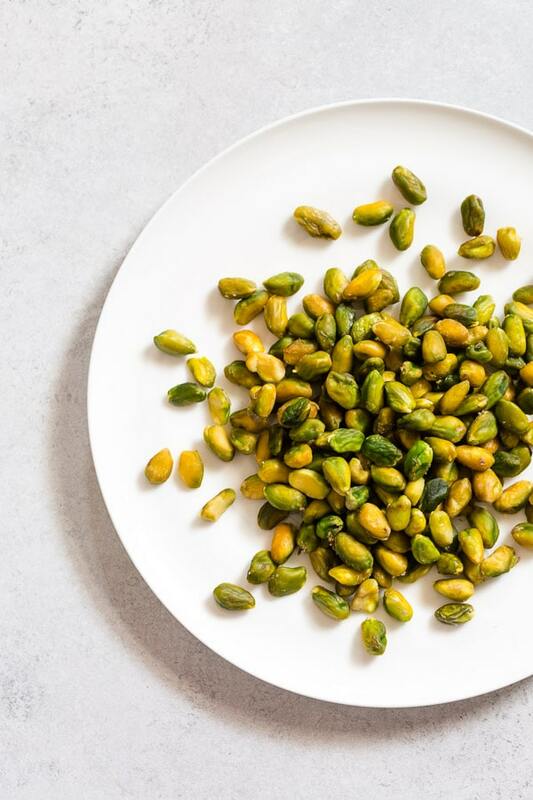 Here’s the thing… You can skip this step and go right ahead with just raw shelled pistachios, or even with roasted shelled pistachios, but you won’t get that smooth vibrant green paste that you see above! Roasted shelled pistachios with skin-on yields brown paste, super unappealing, I might say. Frankly, it does taste good. But the beautiful green one is 100% better! Keep on reading, and I’ll show you super easy trick to remove the skin real easy! HOW TO REMOVE BROWN SKIN OFF OF PISTACHIOS? Remove from heat and add pistachios. Let it sit for 1-2 minutes. 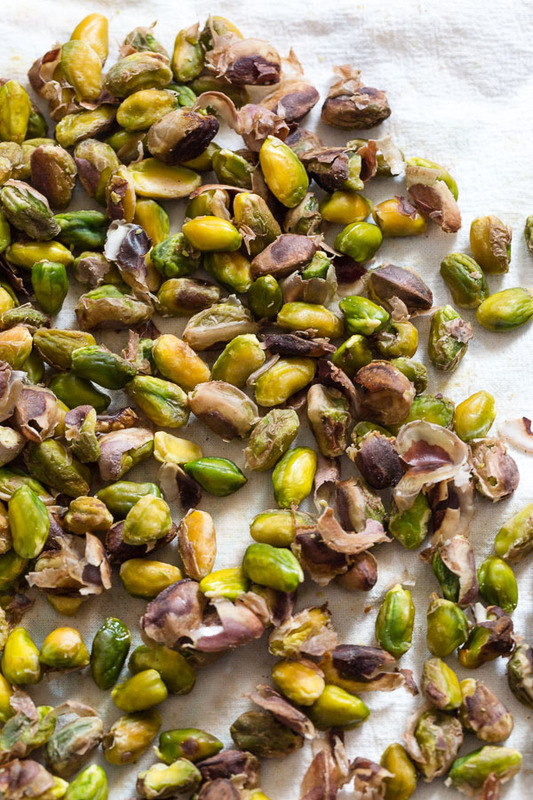 Drain and transfer the blanched pistachios onto a clean kitchen towel. Gently rub and skin will simply separate. You may need to help some stubborn ones. You see, how the color just becomes so much more vibrant after blanching? And skin practically falls off on its own! A plate of pure joy! HOW TO MAKE PISTACHIO PASTE? 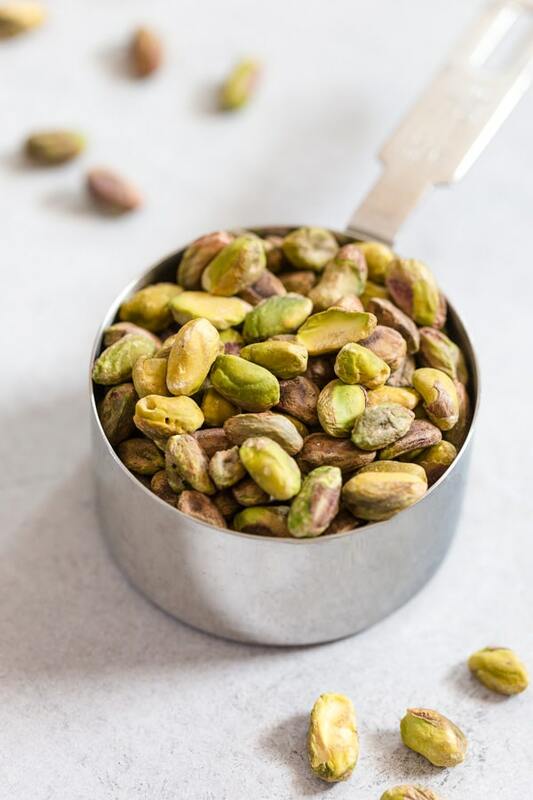 Add the prepared pistachios into a food processor and process until nice and smooth, adding a little bit of water to get things going smoother. It goes through stages: whole nuts -> crumbs -> powder -> paste. And the entire process takes less than 3 minutes! Cost effective, incredibly delicious, healthy homemade pistachio paste! 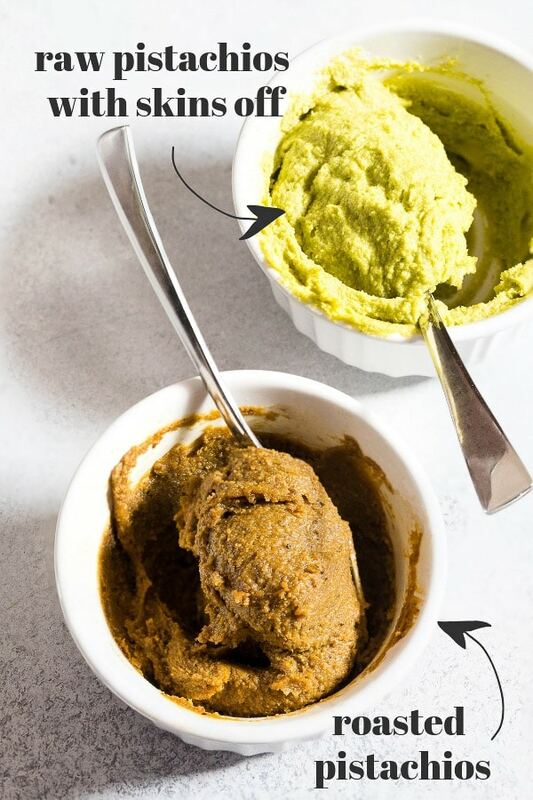 HOW TO USE PISTACHIO PASTE? 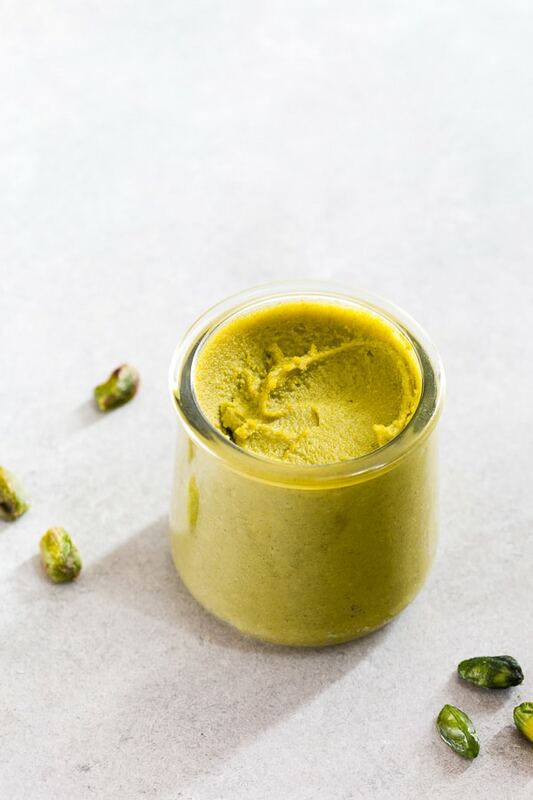 This flavorful pistachio butter can be used in so many delicious desserts, like my pistachio macarons, pistachio ice cream, pistachio buttercream, and so much more. I can’t wait to make amazing desserts incorporating this tasty nut butter. What would you like to see first, pistachio cake or pistachio tart? Pistachio paste also makes an awesome snack! Spread it on a toast, or cracker, or just grab a spoon and dig in. 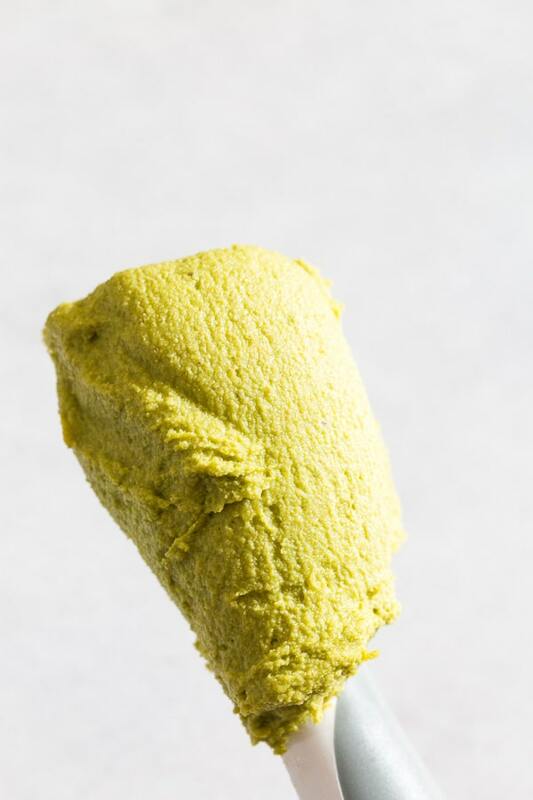 HOW TO STORE HOMEMADE PISTACHIO PASTE? 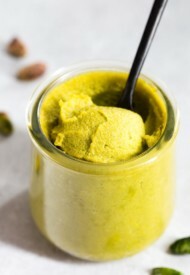 Store pistachio paste in an airtight container in the fridge for 1-2 weeks. You can also freeze it for up to 3 months. To remove brown skin, bring a pot of water to a boil. Add pistachios and remove from heat. Let sit for 1-2 minutes and drain. Remove the blanched pistachios onto a clean kitchen towel. Rub it gently and peel off the brown skin. In a food processor, put cleaned pistachios and process for 2 minutes, until pastey. Add ¼ cup of water and continue to process for another minute, or until nice and smooth. Store in an airtight container in the fridge for 1-2 weeks, or freeze for up to 3 months. This recipe was originally published on March 6, 2015.